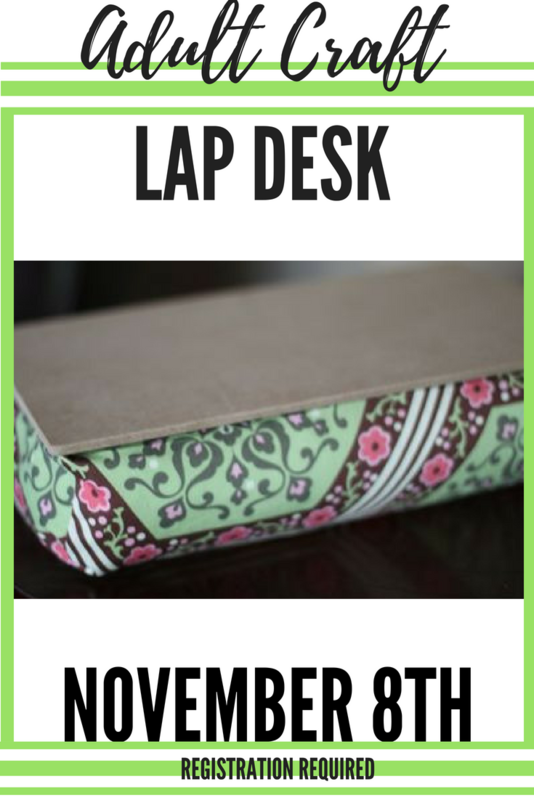 Learn to make a Lap Desk! It is a repeat of the previous craft! If you particpated the last time we did this craft we ask that you wait to register until a week before to give new people a chance. Thank you!